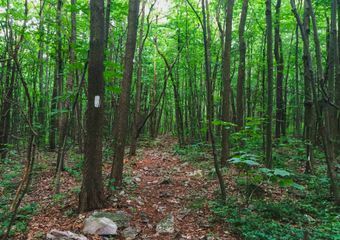 Connecticut’s section of the Appalachian Trail may be short, but what it lacks in length it makes up for in diversity. In its 52 miles, the trail traverses everything from treacherous rock scrambles, to areas so smooth that they are considered wheelchair accessible. 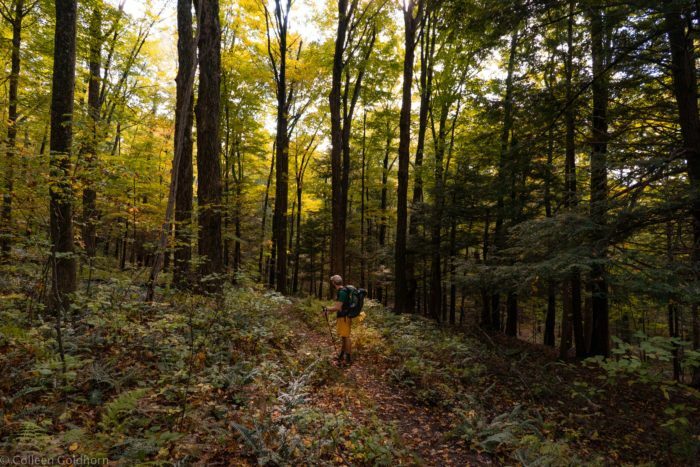 Hikers of this section will experience grand mountain views, lush ravines, and vibrant meadows. Known as the Gateway to New England, Connecticut truly has something to offer everyone. 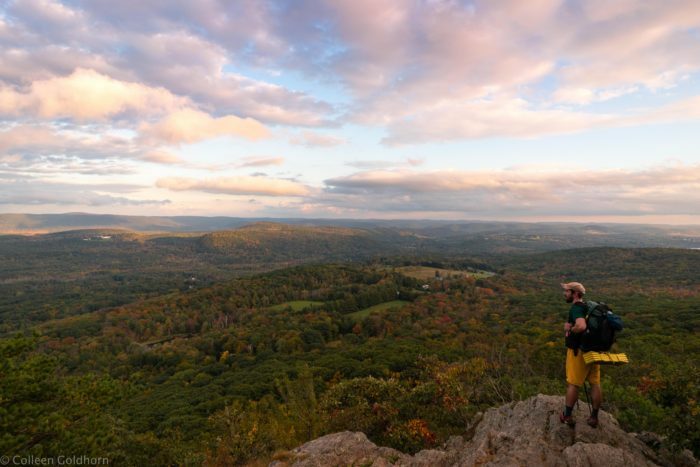 With the snow beginning to melt, and warm days right around the corner, it’s time to start planning your next hike on the AT, and there is no better place to take that hike than Connecticut! 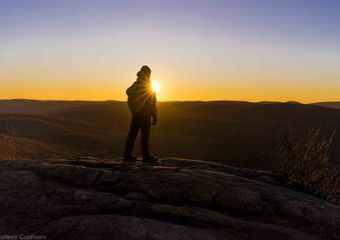 About the hike: This sweeping vista is truly unique to Connecticut. Unlike most viewpoints that are perched on the ledges of a mountain, Rand’s View is best seen from the edge of a lush meadow. 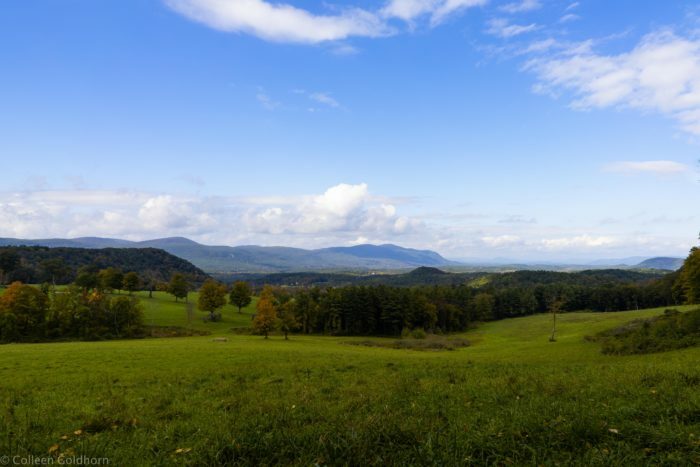 From the trail, you have unobstructed views of the Southern Taconic Range, including Bear Mountain, Mount Race, and Mount Everett. Being spread out over a large field, this is the perfect place to hang out for an extended period with a blanket, some snacks, and good company. The details: Option 1) 5.2 miles: Park at the Dugway Road parking lot, which is located right by Great Falls. Start hiking northbound up a steady climb until you reach the tree-covered summit of Mount Prospect. Then, continue walking for about a mile on smooth trail until you reach Rand’s View. Once finished, retrace your steps 2.6 miles back to your car. 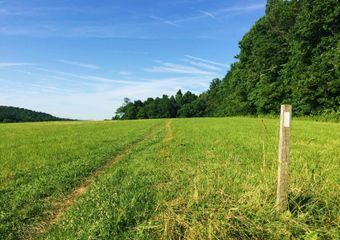 Option 2) 6.8 miles: Start your hike at the trailhead on US 44. Begin hiking southbound up a steep trail that eventually turns into a more gradual climb. After hiking for 3.4 miles, you will be greeted by an opening in the trees that shows off Rand’s View. After spending some time in the meadow, retrace your steps back down the mountain to complete your hike. About the hike: Looking for an easy piece of trail that is perfect for small children, hikers with injuries, and even those in wheelchairs? 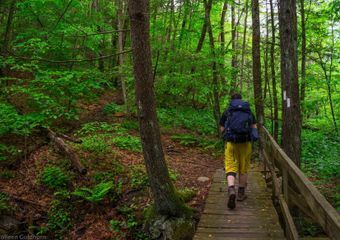 Connecticut has you covered as one of the only states on the AT that is home to a wheelchair accessible section of trail. Despite the flat and smooth terrain, this section of the trail is full of scenery as it passes along the Housatonic River. The wheelchair accessibility lasts for .5 miles in each direction until hikers end up right at the base of the Great Falls of the Housatonic River. 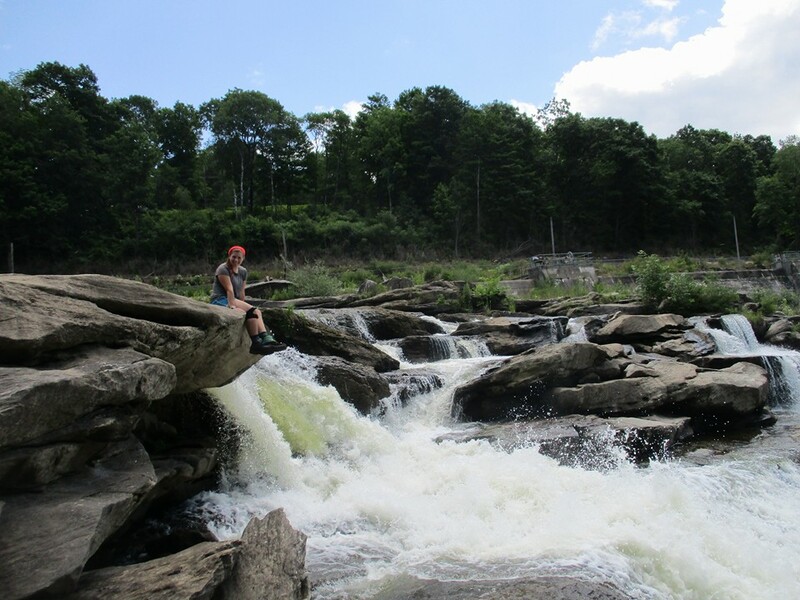 Although the area around the falls is not suitable for wheelchairs or strollers, it is relatively easy for most hikers, and offers fantastic views of the river and waterfalls alike. The details: Park your car at the Warren Turnpike trailhead, and begin hiking northbound. Wheelchairs, strollers, etc., can be easily pushed during the first .5 miles of the hike; however, able-bodied hikers can keep walking another 1.8 miles along smooth terrain until they reach Great Falls. After checking out the falls, retrace your steps 2.3 miles back to your car. About the hike: For a challenging hike with the reward of jaw-dropping views, Lion’s Head is a must-see. From the summit’s extensive ledges, hikers can see the town of Salisbury, the Twin Lakes, and Wetauwanchu Mountain. Its shorter climb and grand views also make this a popular hike for sunrise. Lion’s Head is often considered one of the best viewpoints in Connecticut, which consequently means it gets very crowded on weekends. Heading out early not only ensures you will miss the crowds, but you will get a chance at catching some amazing golden hour light. The details: Begin at the Undermountain Road trailhead. Hiking northbound for 2.2 miles, climb a steep 1,000 feet that will lead you to the viewpoint. After soaking in the views, follow the AT southbound until you are back at the parking lot. (This is a very popular hike during warm weekends and holidays. Getting to the trailhead early will ensure you are able to find parking and have less people on the trail during your hike). About the hike: Looking to extend your hike to Lion’s Head by a few miles? 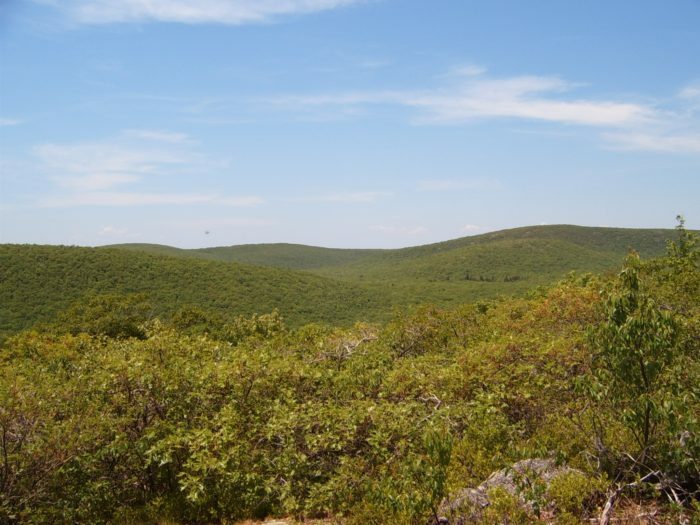 Located only a few miles from the Massachusetts border, Bear Mountain is the highest peak in the state and on clear days offers sweeping views of the valley below. There is a stone “tower” on top of the mountain, which is better described as a giant cairn with a flat top. Regardless, these rocks help get you over the treeline and at a perfect height to take in views of Twin Lakes, the Taconic Range, and parts of Mounts Race and Everett. 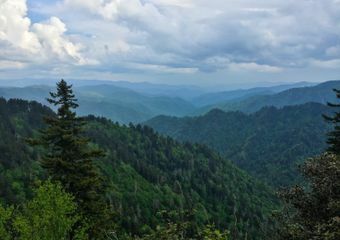 The details: Similar to the hike to Lion’s Head, begin by parking at the Undermountain Road trailhead and hiking north. After reaching the Lion’s Head viewpoint at mile 2.2, continue down the trail for another 3.4 miles until you reach the summit of Bear Mountain. After climbing the stone “tower” and taking a few photos, backtrack 5.6 miles back to your car. 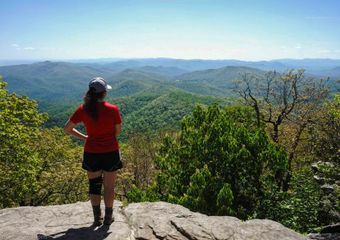 Did I miss your favorite hike along the AT in the Constitution State? Tell me about it in the comments below.